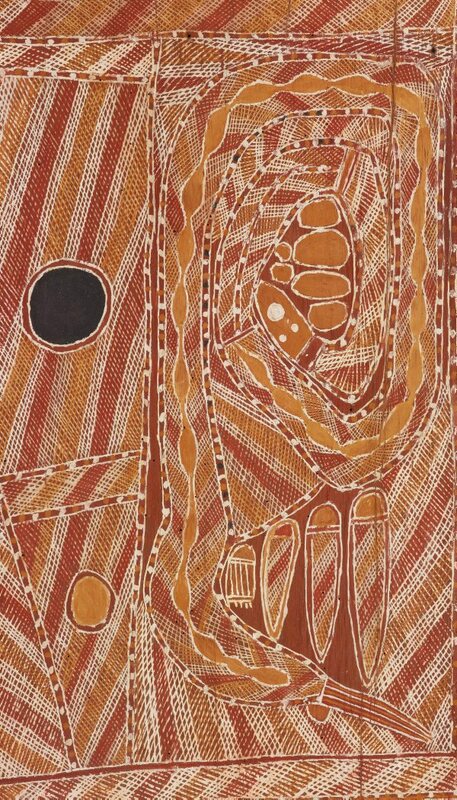 Tjam Yilkari Kitani held the authority for the Wägilak sisters ceremonial cycle until his death in 1956 and is widely recognised for laying the foundation for how the sisters are depicted in artworks by Liyagalawumirr artists. 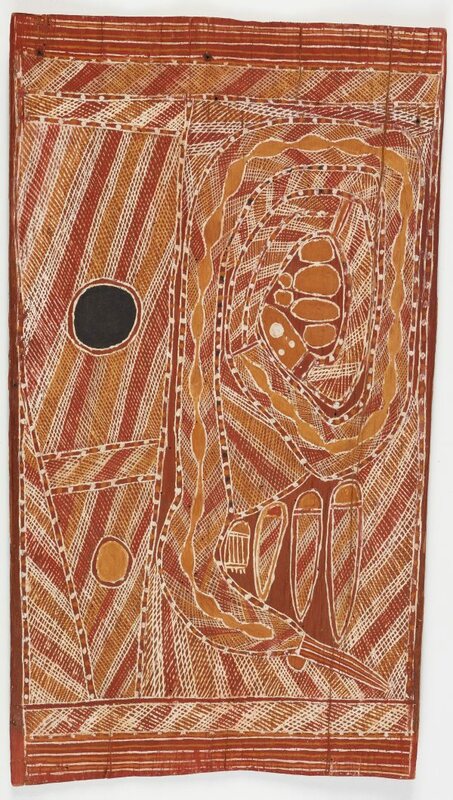 His use of a form of figurative visual language to capture the main protagonists and events associated with the sisters directly influenced the work of his nephew Dawidi and son Paddy Dhathangu, who subsequently inherited responsibility for the Wägilak sisters. Art from Milingimbi , Sydney, 2016, 119 (colour illus. ), 142.